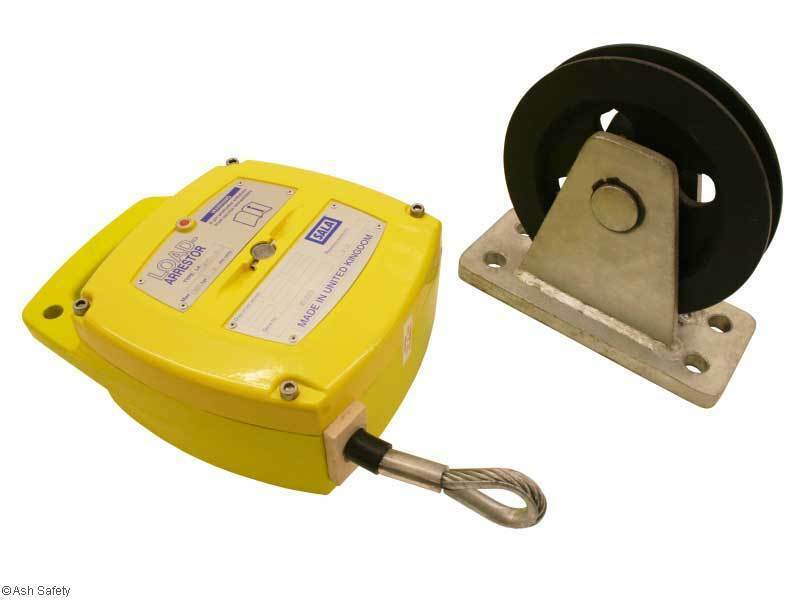 The Sala small range Load Arrestors with pulleys offer protection to a load from 20kgs up to a maximum of 1000kgs. The units have an activation speed of 0.5 metres per second. The standard small range units weigh 8.4kgs with the pulley weighing 8.2kgs and have a working length of 2.5, 4 and 6 metres with galvanised cable diameters from 5 to 7mm. Each unit requires an anchorage at the unit and at the payload and this is shown on our anchorage calculation chart. Non-standard units can be built with different activation speeds, or lengths of cable. If what you need is not detailed please talk to our technical department on 01404 43000 for assistance.